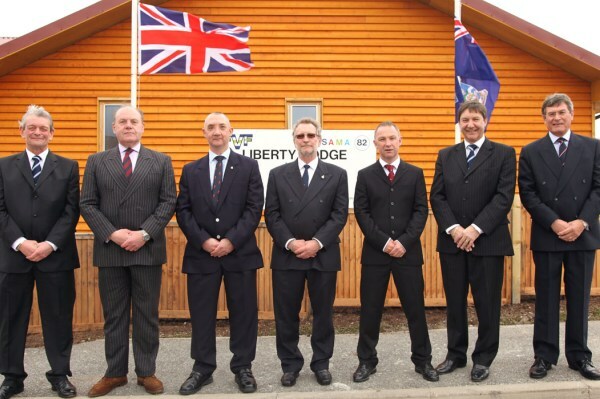 The Trustees of the Falklands Veterans Foundation (FVF) welcome you to the FVF and Liberty Lodge website. 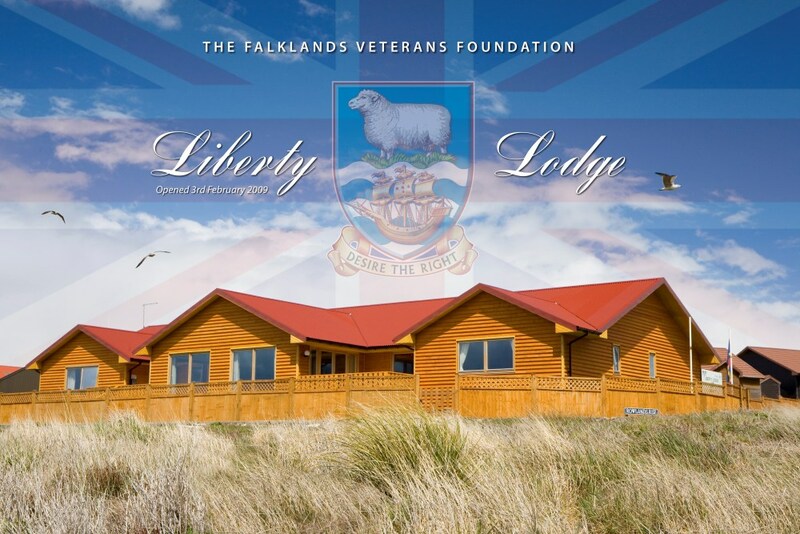 The Falklands Veterans Foundation (FVF) was the first UK based charity for Falklands Veterans and their immediate families and is committed to providing a network of support and direction for those in need. The FVF works in partnership with all other Service Charities and organisations providing assistance for Falklands Veterans and their families. The FVF is available to point you in the right direction whether it is financial or to assist with any difficulties you are encountering. Please contact us at: info@falklandsveterans.org.uk. This restricted funding is to assist with the cost of flights to the Falkland Islands for a Next of Kin of a serviceman Killed in Action and Veterans who are unable to secure a CFP Flight, to visit battlefields, war graves and memorials to remember those 'still on patrol'. The award comes ahead of the 35th anniversary of the conflict in 2017. If you are a Next of Kin of a serviceman who was Killed in Action and wish to apply for an Assisted Flight Application Form, please email fvf@btconnect.com. "The Falklands Veterans Foundation are absolutely delighted to be awarded this funding for Veterans and immediate Next of Kin of those Killed in Action during the Falklands War, to assist with the costs of flights to the Islands to allow them to lay ghosts to rest and pay their respects to those still on patrol in the South Atlantic. It also ensures that Liberty Lodge a building owned by the Foundation for the veterans and families of those killed in action, is used to its full potential." "Wonderful news of securing a grant of £550K from the LIBOR fines. A huge 'coup' fronted by the CEO and Operations Manager, securing the cost towards flights for Veterans and immediate Next of Kin of those Killed in Action, to and from Liberty Lodge over the next three years. We are extremely grateful to the administrators of the Fund for considering the Falklands Veterans Foundation in this grant." 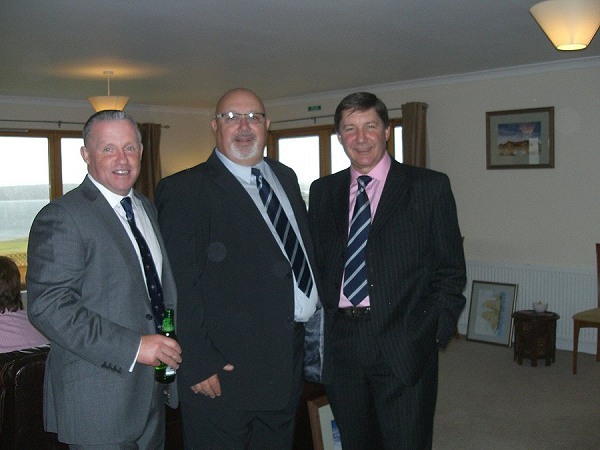 Our special thanks go to Sodexo Defence, the Falkland Island Company and Stanley Services for their continued support. The FVF are also extremely grateful to ABF The Soldiers' Charity, the national charity of the British Army who continually support the FVF and Liberty Lodge by making annual donations which enables us to keep the Lodge up to a high standard for visiting Army Veterans and their families. We are pleased to report that over 200 people attended the social evening held on Saturday, 20 May 2017 at the WO's & SR's Mess, HMS Sultan and it was a great success. The evening included light entertainment and a pig roast. On Sunday, 21 May 2017, approx. 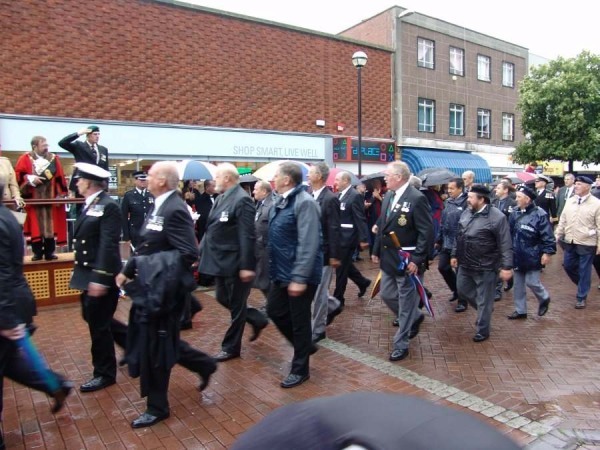 250 Veterans attended a Memorial Service and Freedom Parade arranged by Gosport Borough Council in partnership with Hampshire County Council and the FVF. 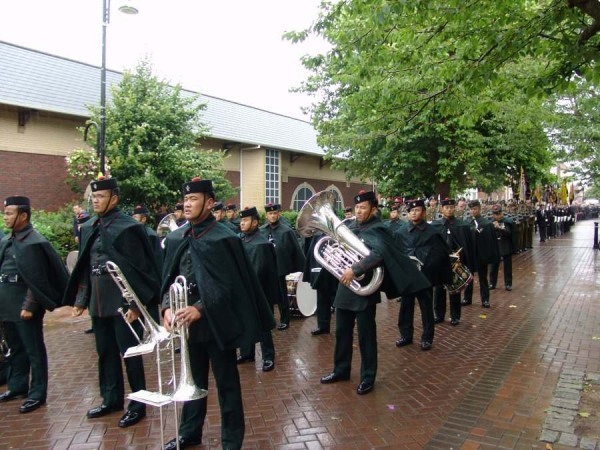 On conclusion of the Memorial Service, which took place at the Falkland Gardens, the Freedom Parade was led by the Band of Her Majesty's Royal Marines Collingwood. 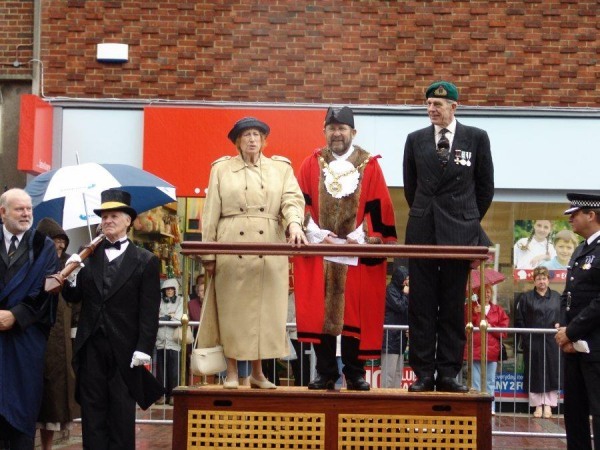 The Salute was taken by the Worshipful the Mayor of Gosport, Councillor Mrs Linda Batty, Rear Admiral Iain Henderson CB, CBE, DL and Admiral Sir Philip Jones KCB, ADC, First Sea Lord and Chief of the Naval Staff. A reception for approx. 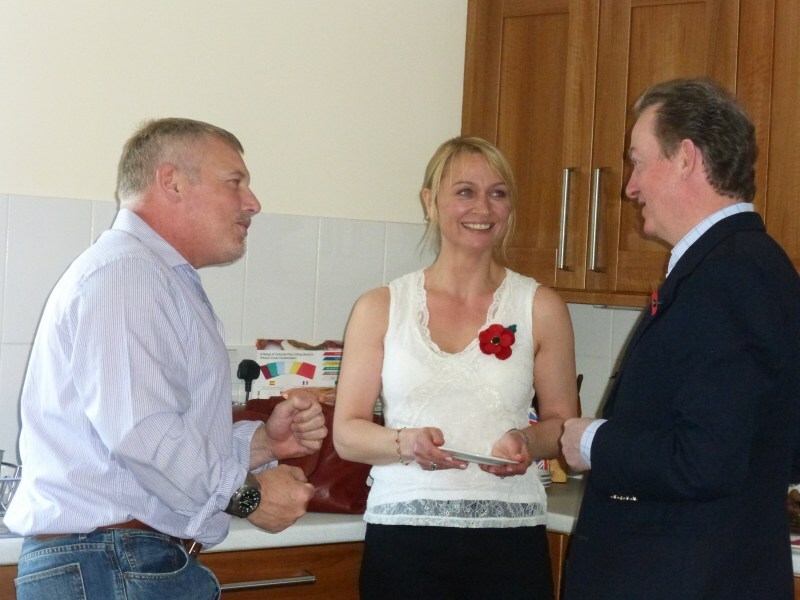 700 people was held on completion at Walpole Park, this included the Veterans themselves along with their families. Ellen started as Liberty Lodge's Manager in November 2009 and during her tenure took pride in welcoming all visitors to the Lodge and due to her first-hand knowledge of the Islands assisted in making everyone's stay a special one. 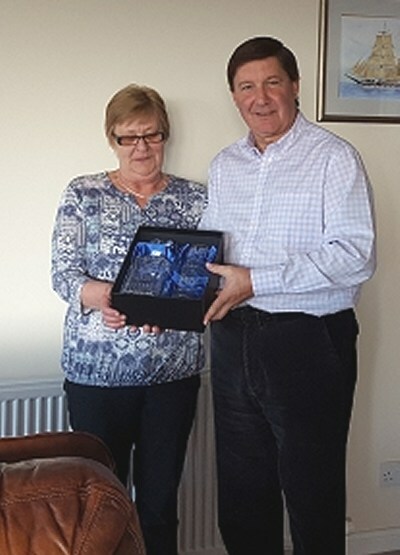 Ellen was due to retire in October 2016, so Smokey Cole, FVF CEO and his wife, Karen, FVF Operations Manager, made the long journey down South to present Ellen with an engraved cut glass whisky decanter and tumblers. As it turned out Ellen stayed in her position until we found a suitable replacement and left in January 2017. 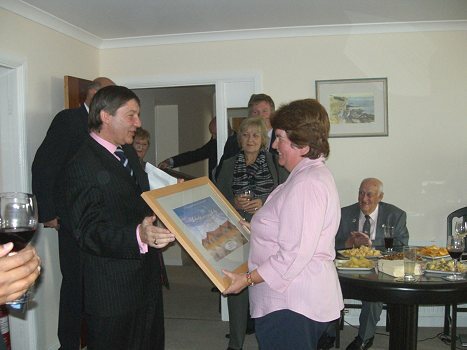 We wish Ellen all the very best in her retirement and thank her for the dedication that she has shown, not only to the FVF but to all its visitors as well. It was with great sadness that Ellen passed away on 13 September 2018 and sadly did not have a lot of time to enjoy her retirement. Ellen, fondly known as 'Mother' to many, made such an impression on the Veterans and the families that had the privilege to meet her. Approx 700 Veterans visited the Lodge during Ellen's time as Liberty Lodge’s Manager and I think we can safely say that she enjoyed hosting all of the Lodge's visitors, well most anyway!! She was such a character and dedicated to making all of the Lodge's visitors welcome and arranging their trips for them, she was supportive and nothing was too much trouble. We will all keep fond memories of her. 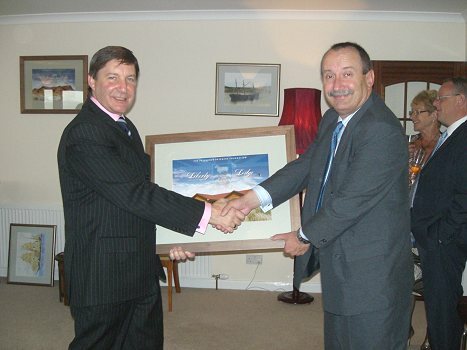 Our sincere thanks go to Iain Thom from Interserve, who kindly agreed to re-stain Liberty Lodge. 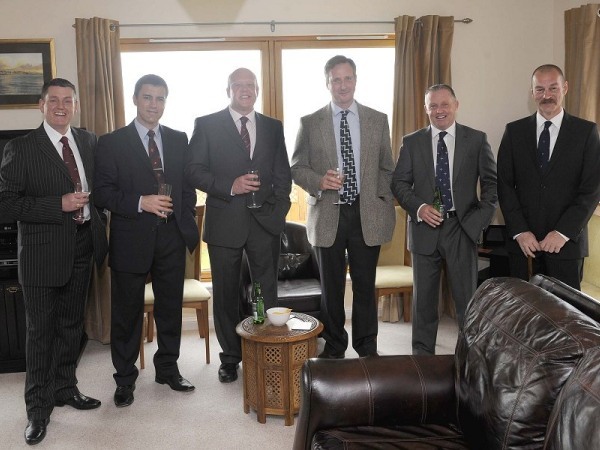 Ian gathered a team of men from Interserve who all worked extremely hard to weatherproof the Lodge for a further few years, it is now in pristine condition. 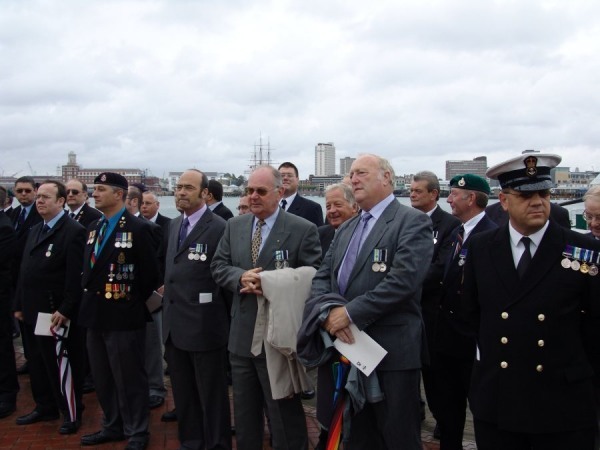 The FVF would like to thank Baz Avery, who served on HMS Coventry in the 1982 which was sunk in action on 25 May 1982 with the tragic loss of 19 men, for all his support and hard work in raising funds for the FVF and Liberty Lodge. This is the second fundraiser he has done for us but this one took a lot of stamina. 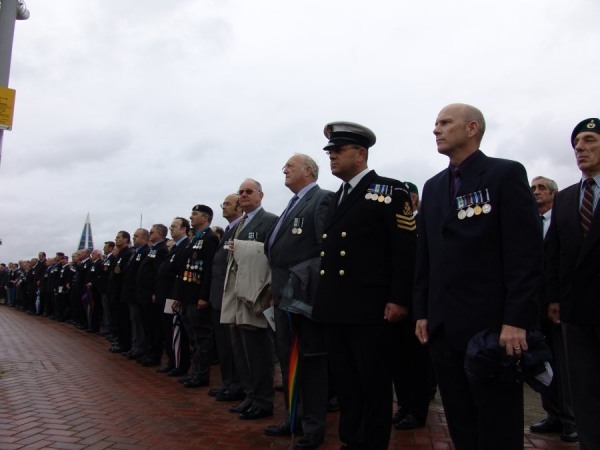 Baz said: "With the Falklands being over 8,000 miles away from the UK it makes it difficult for Veterans to revisit the Islands and pay their respects to fallen comrades. 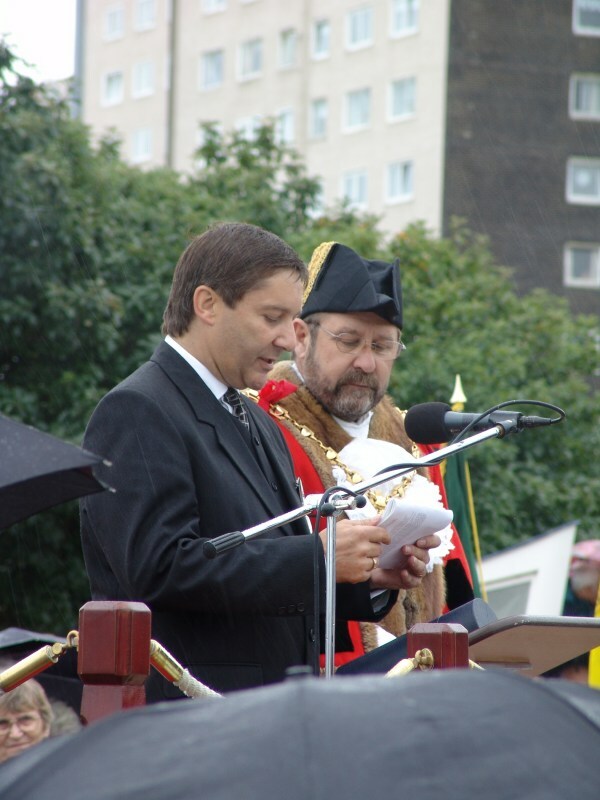 I have been fortunate enough to do this - largely due to the existence of Liberty Lodge located in Stanley, the capital of the Falklands. 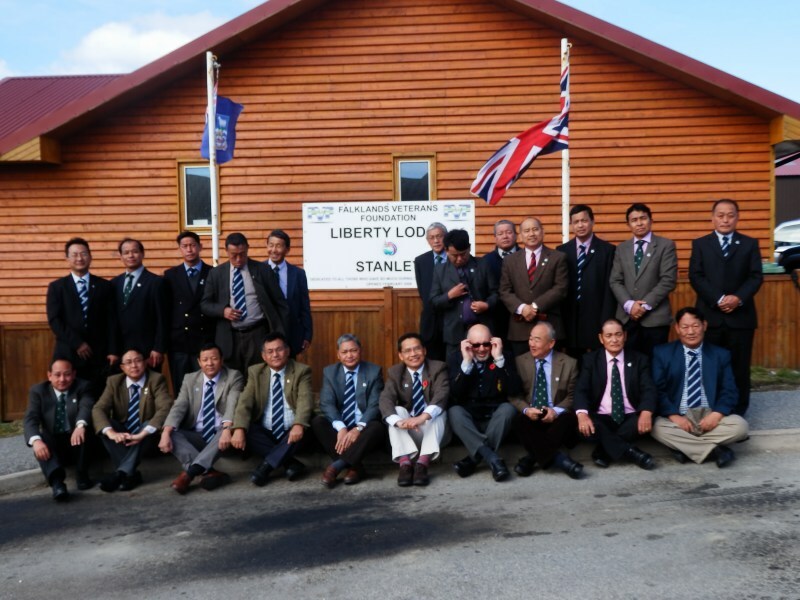 Liberty Lodge is a fully-equipped accommodation in beautiful surroundings overlooking Stanley Harbour. This is used by the Veterans during their stay and provides a wonderful environment to relax in when they're not visiting the battlefields, cemeteries and locations important to them. For me it played a major part in my coming to terms with that whole episode in my life and the loss of my shipmates." Baz did a Marathon Row on Saturday, 29 October 2016 at Colne Valley Leisure Centre, Slaithwaite, Huddersfield and raised a total of £2,054.09. 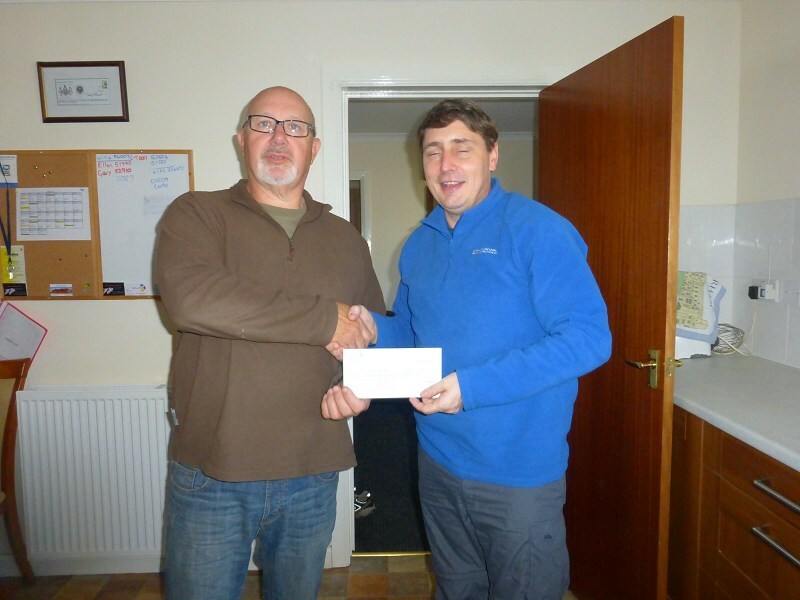 The total included £442.37, thanks to a tremendous effort by Hamish Wylie and his staff at the Seafish Chandlery, based in the Falkland Islands. 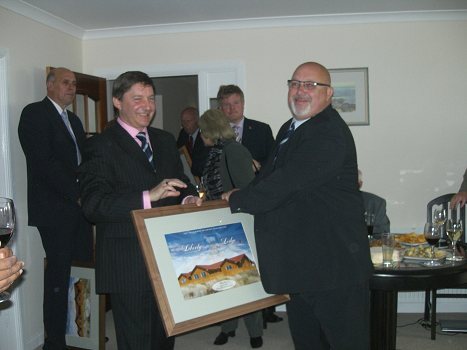 They did a great job of collecting donations from the Falkland Islanders themselves. The FVF would like to give their sincere thanks to Baz's family and all his supporters in raising this fantastic amount. Baz proudly presents a cheque to Ellen Davis, Liberty Lodge Manager with Hamish Wylie to her left along with other Visiting Veterans. Since the presentation more donations have been received. "The Camping and Caravan Branch of SAMA82 is a group of likeminded people who enjoy camping together in an informal way. We hold about 3 meets a year. At each meet we do some kind of fundraising for a chosen charity. 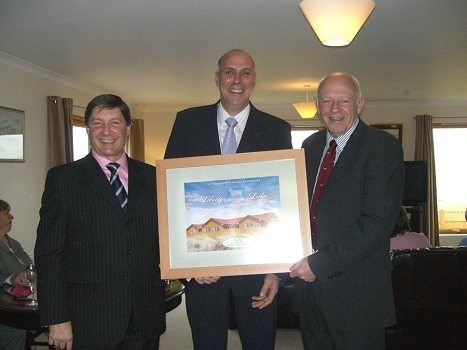 Over recent years our chosen charity has been Liberty Lodge. Our main meet is at Aeroventure Museum at Doncaster. This is a museum full of old aircraft and associated memorabilia. Part of the museum is set aside for a collection of Falklands War artefacts; in fact, the collection is one of the largest in the UK. Our fundraising consists of raffles, scratch cards and other similar activities." 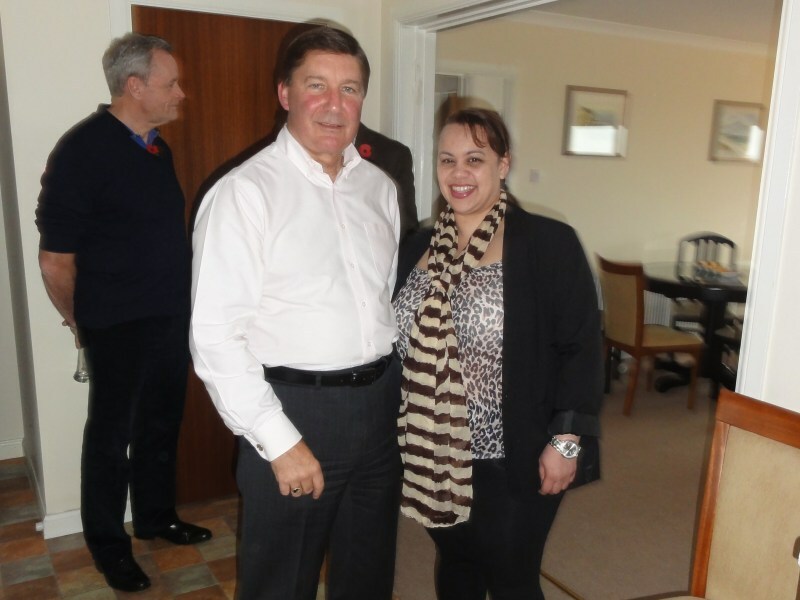 A small reception was held at Liberty Lodge on 1 November 2015 when the CEO, Smokey Cole, visited the Islands. 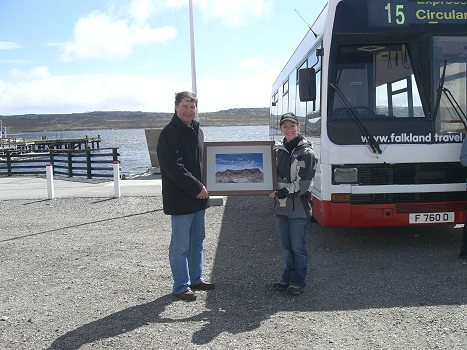 It was a small affair to say thank you to our sponsors and some of the helpers in the Falkland Islands. Some of those in attendance were His Excellency The Governor Colin Roberts CVO, Commodore Darren Bone RN, Commander British Forces South Atlantic Islands and his wife Mrs Jessica Bone, Christina Williams representing Sodexo, John Foster, Managing Director and Roger Spink representing the Falkland Island Company, Robert Rowlands representing Stanley Services and Andrea Clausen and Leeann Harris from Falkland Island Tourist and Travel. A few of the dedicated drivers were also invited along with Gary Clement, MBE, FVF Trustee who plays a major part in the success of Liberty Lodge and also the Veterans who were staying in the Lodge at the time and of course not forgetting Ellen Davis, Liberty Lodge Manager. 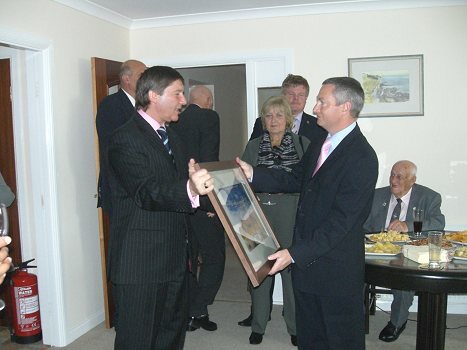 Russell Watson becomes an Ambassador of the FVF and is presented a picture of Liberty Lodge and a South Atlantic tie by Simon Weston at the Union Jack Club in December 2013. To watch this presentation please click on the video below. 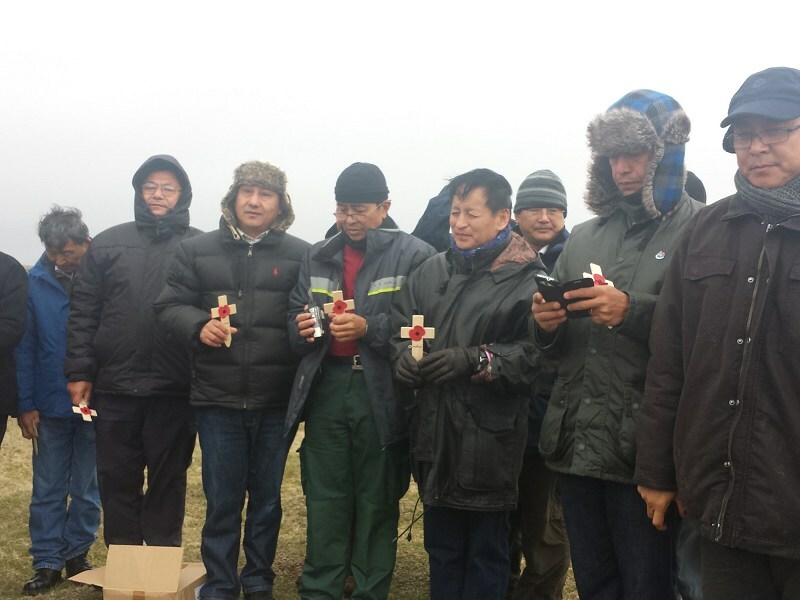 'The trip was a resounding success and a great experience for all the veterans. Everyone has immensely enjoyed the trip. This trip was not only a chance to revisit the Falklands, but it was also a great opportunity to meet again with all the old friends from the regiment with some of whom we had not met for many years. 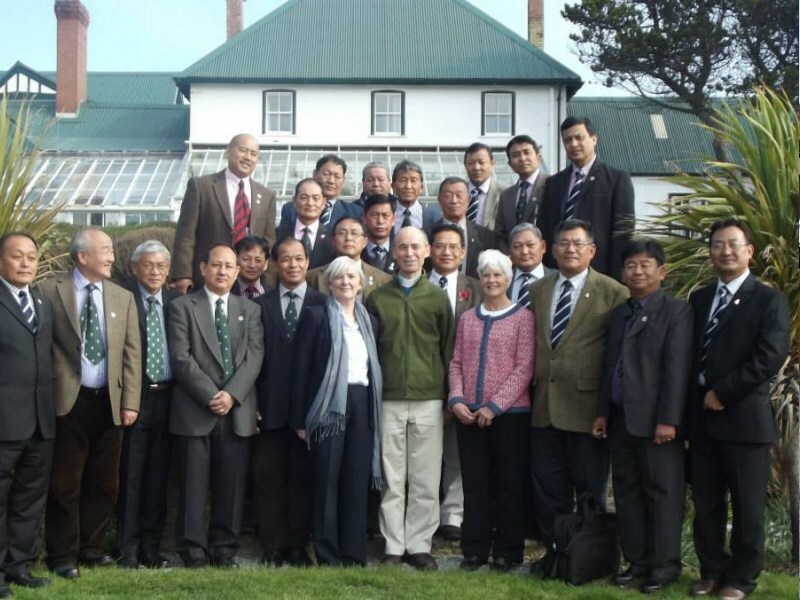 I on behalf of the Gurkha veterans group would like to express my sincere gratitude to Derek 'Smokey' Cole and Colonel Tony Davies who made our dreams to revisit the Falklands come true. Furthermore, thank you to Gary, Ellen, Joe and Maj Bishnu Ghale for their great contribution to the trip. Neil Martin from the CRS (Catering & Rations Sqn) at MPC presented a cheque for £1,200 to the FVF after they held a 'Ready Steady Cook' charity event. 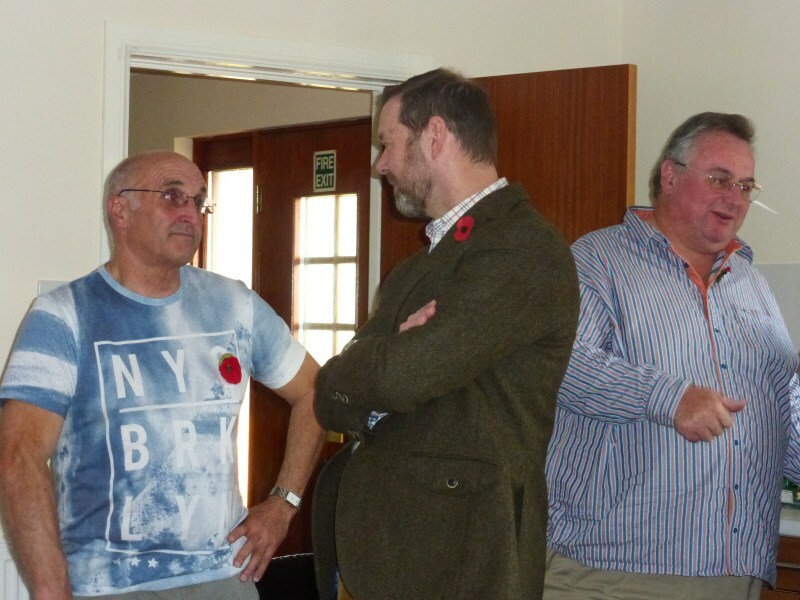 Neil commented, "Liberty Lodge is not only a worthwhile cause but it is also one way in which we can still support our Veterans and give them somewhere warm and safe to stay whilst on the Islands." 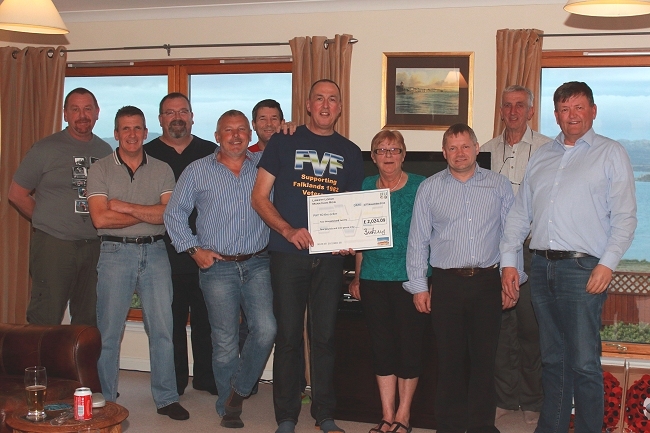 The FVF would like to thank Baz Avery (ex HMS Coventry) and Sarah for organising a Fundraising Night in May 2015 where they raised an amazing £1,800. 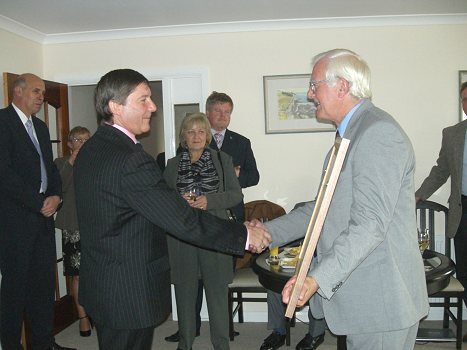 A thank you also goes to all who attended the event and helped raise the funds for Liberty Lodge. Corporal Akash Tamang from 69 Gurkha Field Squadron, 36 Engineer Regt organised a charity event titled 'Gurkha 200 Falklands Challenge' in April 2015. Eight men set off for the 200km challenge on 2 April and finished the whole challenge on 3 April 2015. The route from Port San Carlos to Stanley via Goose Green was chosen to emulate the footsteps of 1/7 Duke of Edinburgh Own Gurkha Rifles in the 1982 Campaign and the challenge took just under 38 hours. The FVF feel very fortunate to be one of the named charities and Akash presented a cheque for £700 to Gary Clement MBE, Trustee of the FVF. ABF The Soldiers' Charity, the national charity of the British Army, continually support the FVF and Liberty Lodge by making annual donations which enables us to keep the Lodge up to a high standard for visiting Army Veterans and their families, for which we are extremely grateful. 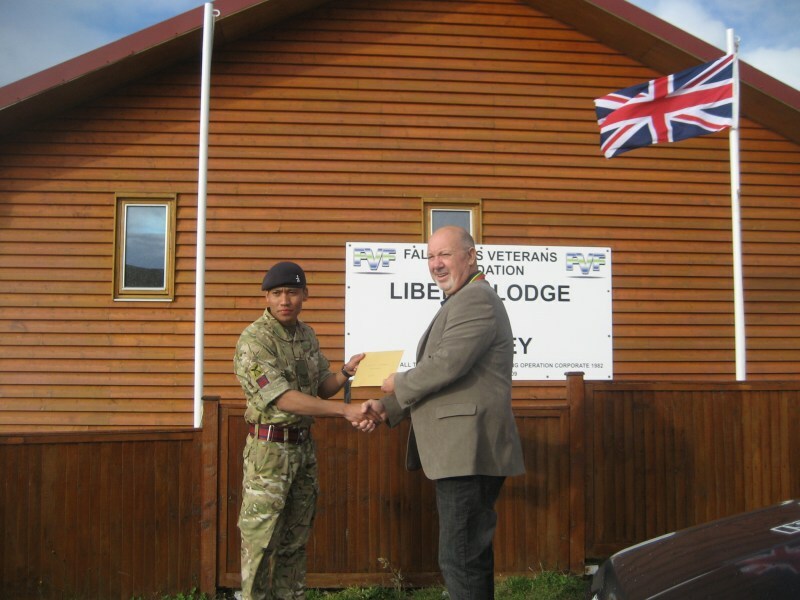 Serving personnel from MPC continue to support the FVF and Liberty Lodge. Lt Owen Miller from ISS SAI MPC and his boys raised £250 after spending an afternoon cart racing. 1435 Flight did a charity run (35 miles) and raised £1435.00. 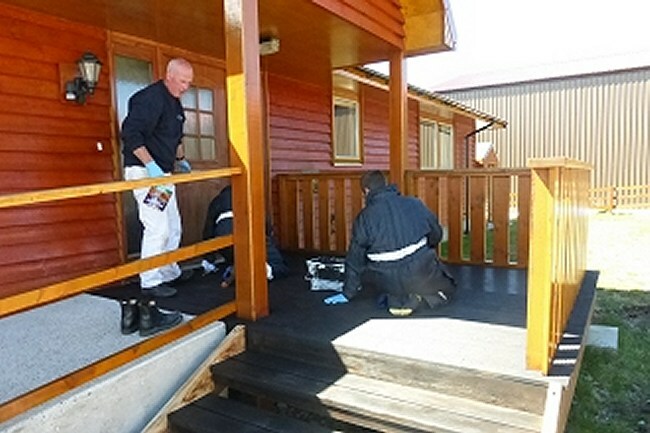 Cpl Lauren McPherson took a group of people to Liberty Lodge and painted all the verandas. Holbeach ACF raised £4,000 by participating in several sponsored events during the year. Tony Davies OBE, FVF Chairman and Smokey Cole, FVF CEO visited the Cadet HQ in Holbeach to receive the cheque and Tony was invited to inspect the cadets on parade. It was a very smart affair with Tony addressing the cadets and staff and thanking them for giving their time to support the FVF. Shepherd Neame Brewery, Kent kindly produced a 30th Anniversary Ale and some of the proceeds from the sale of this, £4,000 were donated to the FVF. 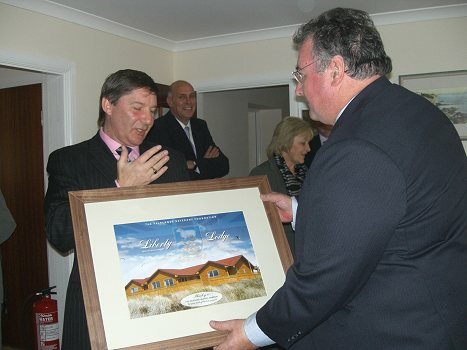 The Falklands Veterans Foundation held a reception on Sunday, 31 January 2010 to celebrate Liberty Lodge's 1st Anniversary. 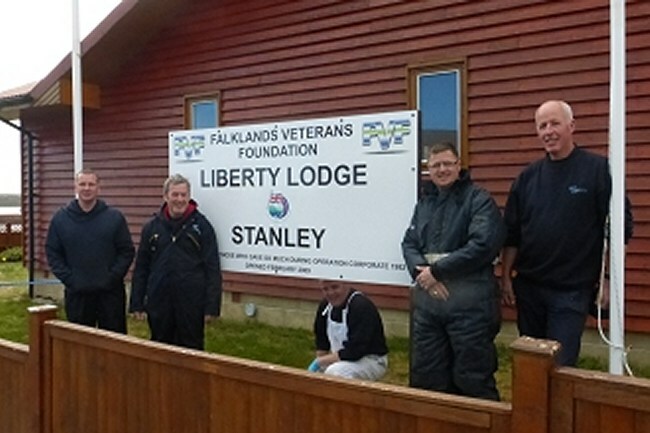 In attendance were His Excellency The Governor of the Falkland Islands Alan Huckle, Commodore Phillip Thicknesse, Commander British Forces South Atlantic Islands and the many local sponsors who have assisted the FVF during the Lodge's first year. 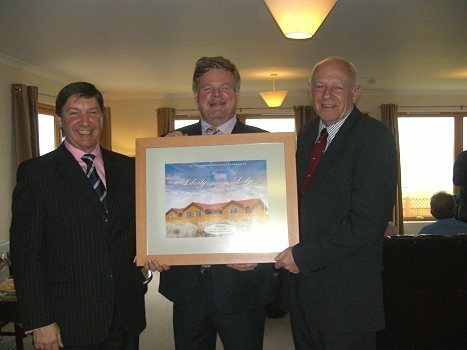 The CEO FVF, Derek 'Smokey' Cole made a short speech and framed photographs of Liberty Lodge were presented to various sponsors as a token of appreciation for their continued support. 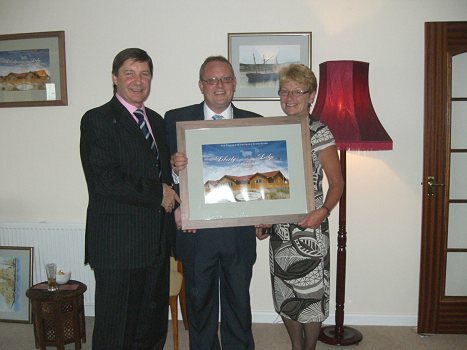 Naming but a few, Sodexo, Falkland Island Company, Stanley Services and Falkland Islands Tours and Travel Ltd. The FVF are very grateful to them for their continued support. 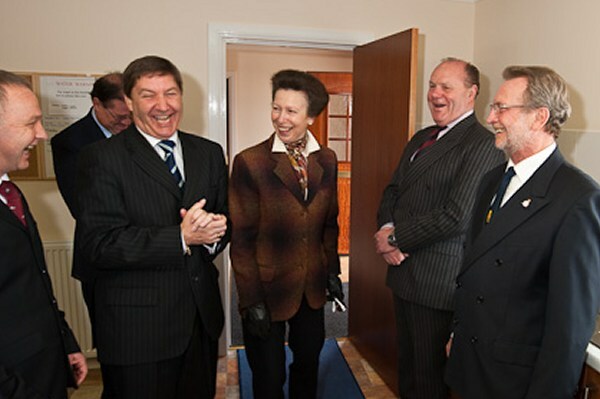 HRH The Princess Royal visited Liberty Lodge on 24 March 2009; six Veterans were present for this memorable occasion. 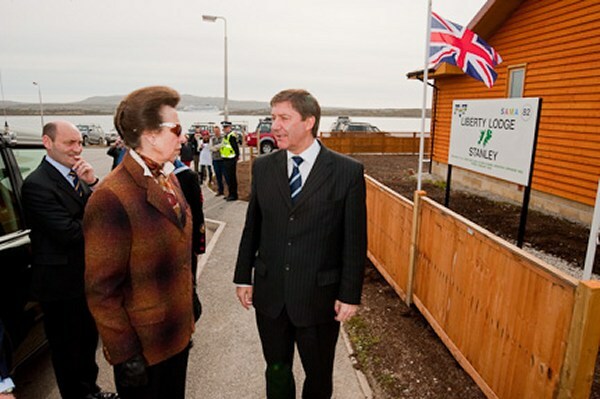 HRH The Princess Royal stopped at the Falkland Islands on her way to a planned visit to South Georgia. HRH spent 1 and a half hours at the Lodge viewing the facilities and chatting to the Veterans and several local residents that had also been invited to the small reception. 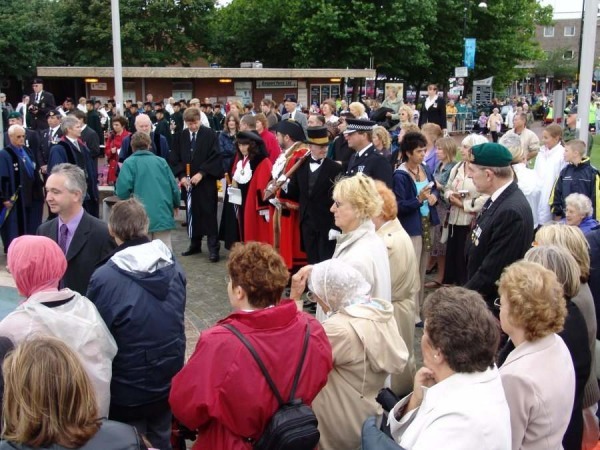 On 24 August 2005, more than 150 Falklands Veterans gathered in Gosport for a poignant ceremony and parade to be granted the Honorary Freedom of the Borough. 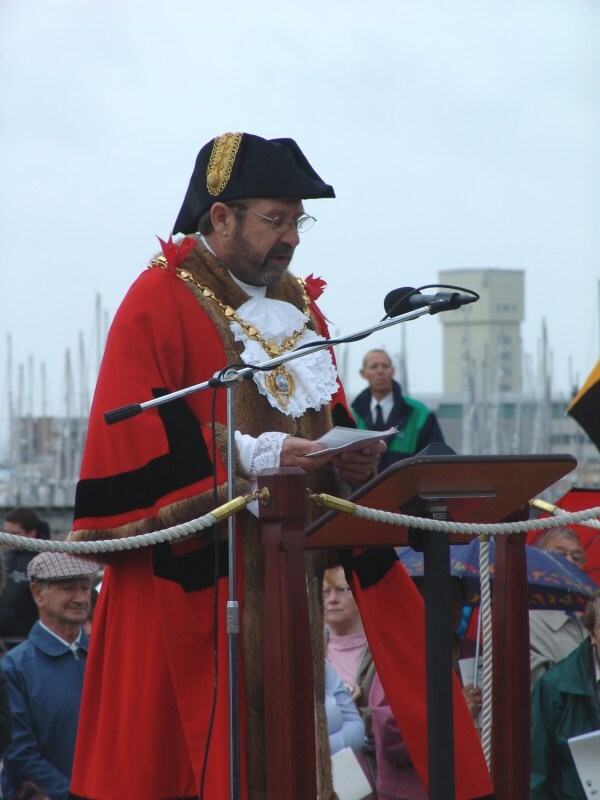 An emotional ceremony was followed by a march past from the Falklands Gardens to the Town Hall, where the salute was taken by Lady Fieldhouse, Gosport Mayor Graham Burgess and Rear Admiral Jeremy Larkin DSO. The Veterans felt honoured that the town had taken them under its wing and made sure that their bravery will never be forgotten.